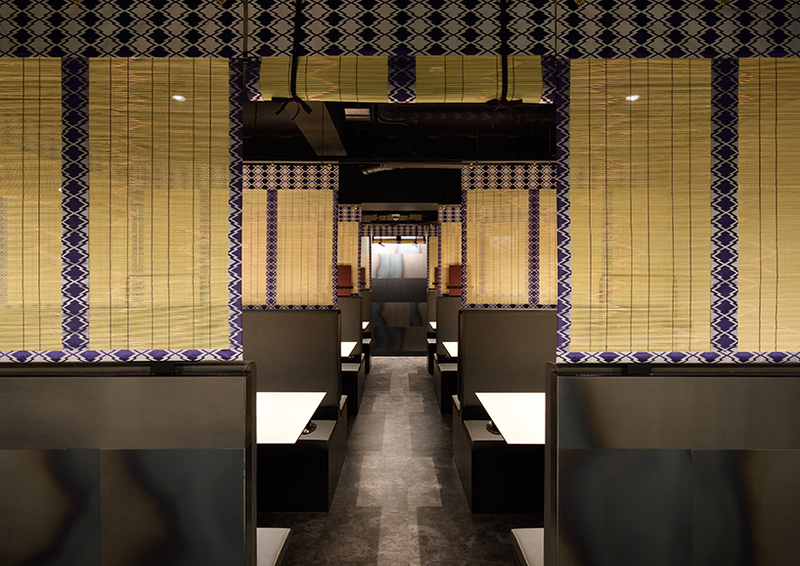 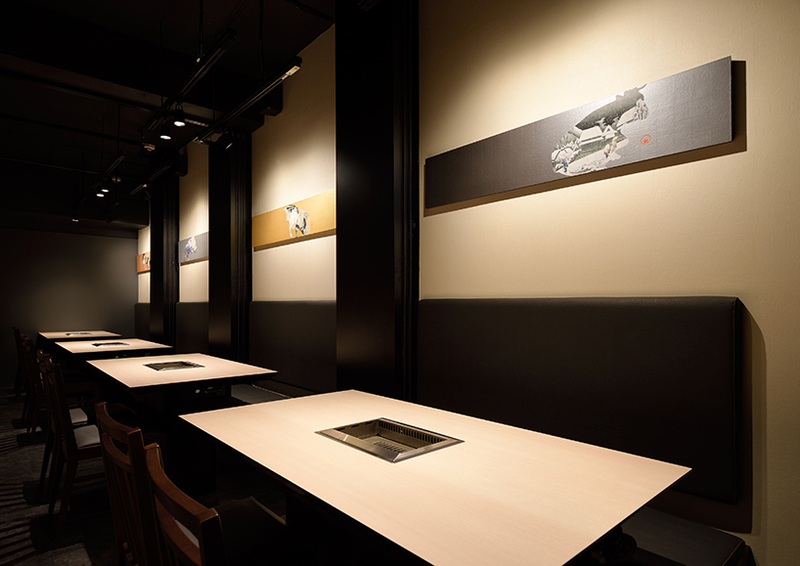 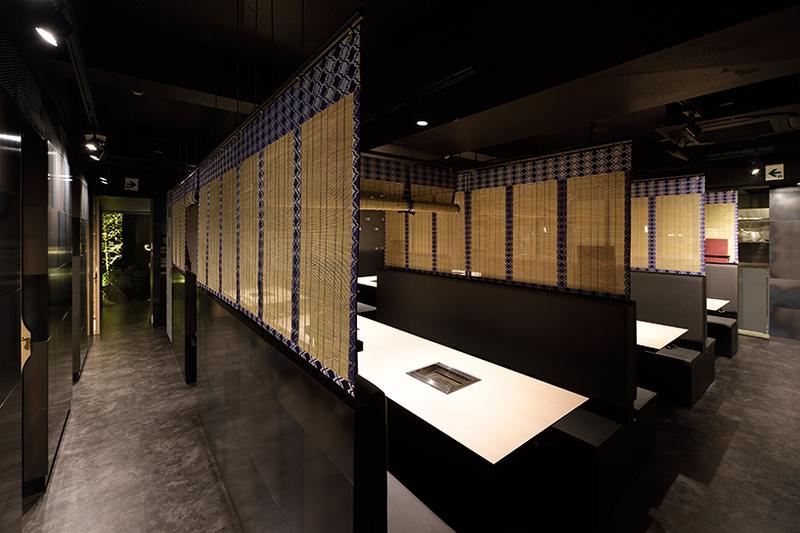 located in kyoto, japan, ‘yakiniku yazawa’ is a japanese BBQ style restaurant completed by architecture practice GENETO. 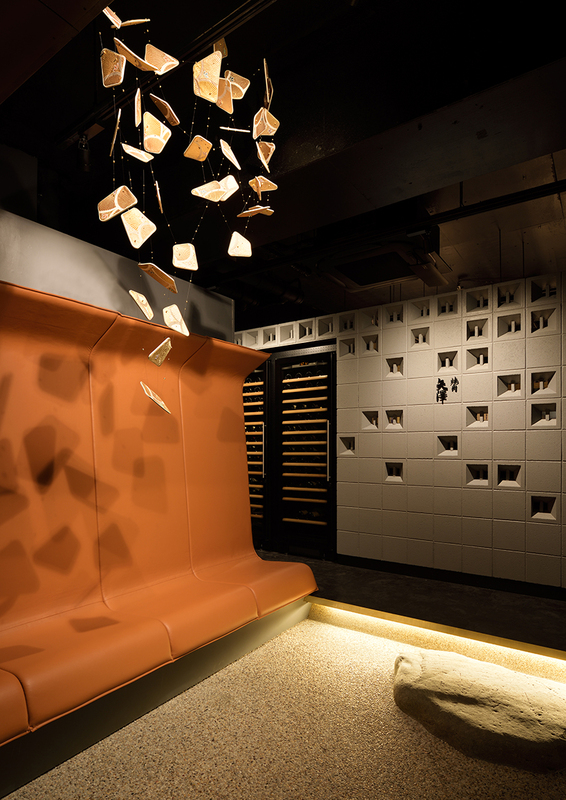 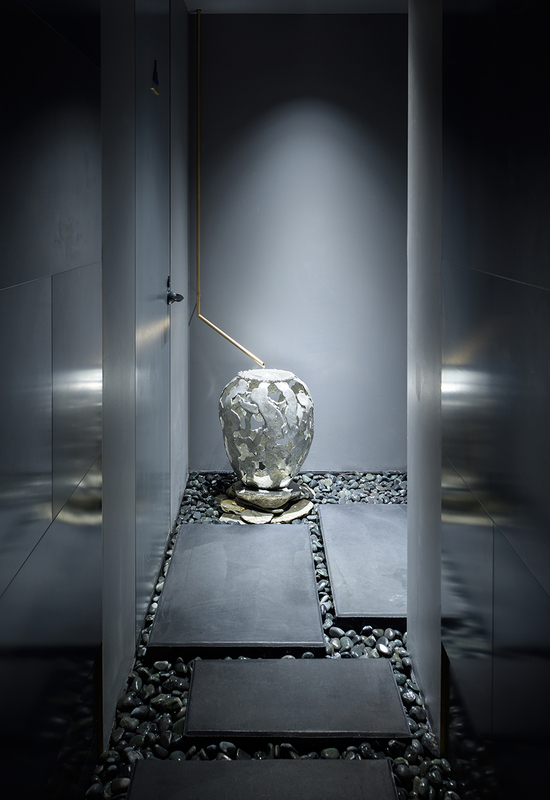 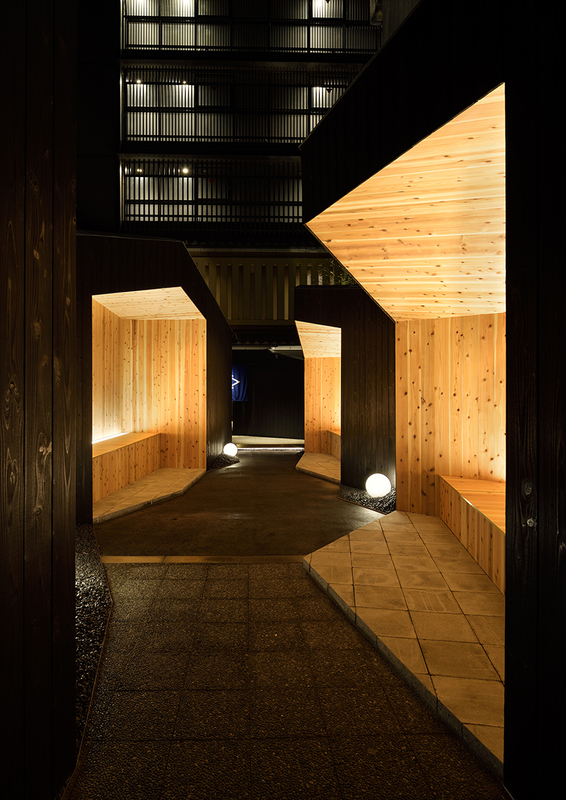 following the client’s demand of creating a sense of ‘kyoto-ness’, the studio has focused on the local vernacular construction methods and materials to convey the ideal design. 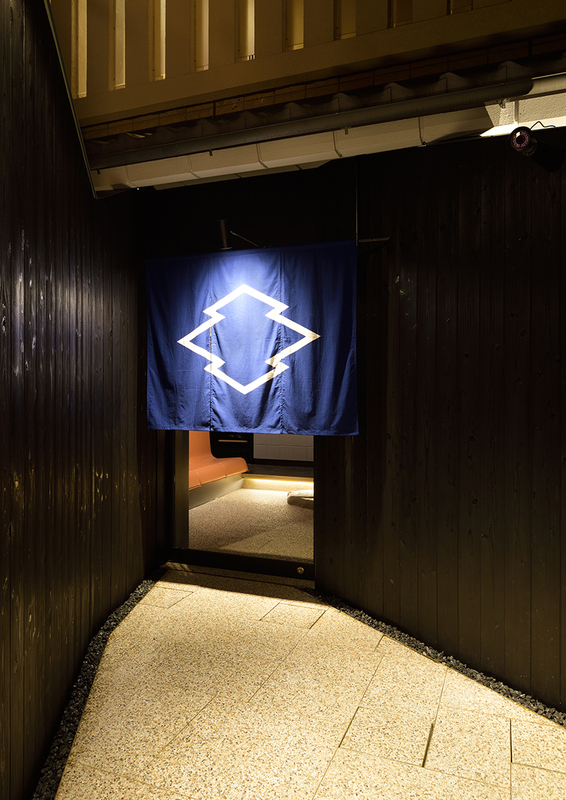 GENETO had an extensive look at the traditional industry in kyoto, and tried to bring in its vernacular elements to the contemporary restaurant space. 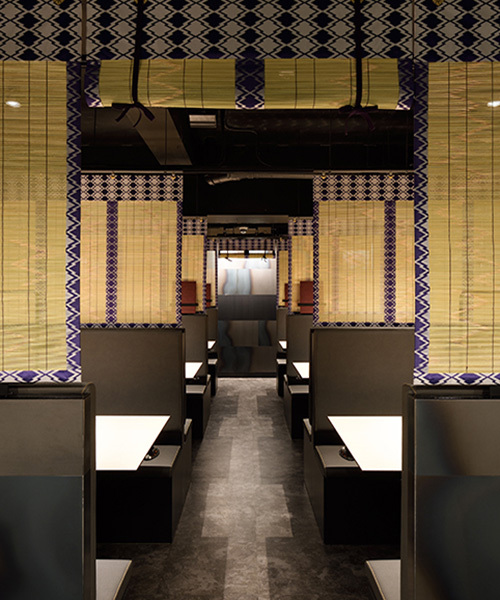 to start with, the interior is simple and has an efficient composition — whereby the MISU(traditional bamboo blind) is used to separate the seats and create a big shared one, once rolled up. 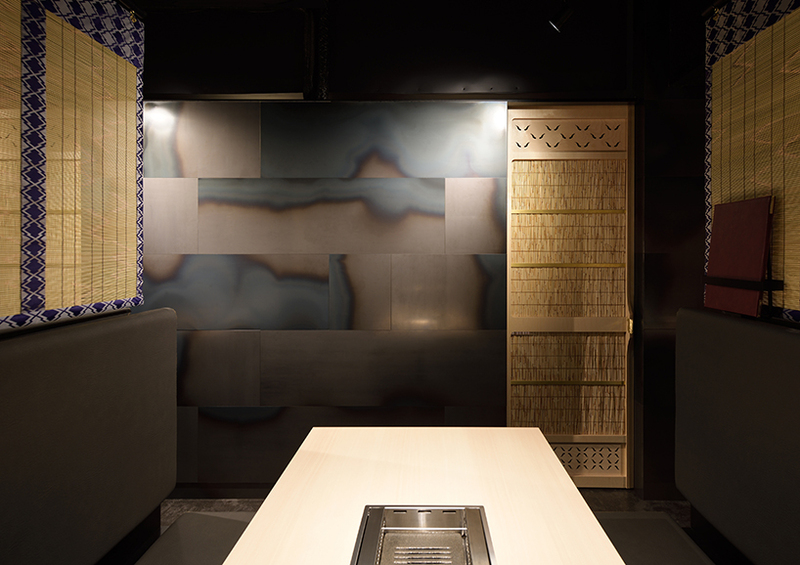 on the other hand, a YOSHIDO(traditional bamboo sliding door) is used for the entrance to the private room – offering a secluded quality whilst still sharing the same ambiance of the restaurant area. 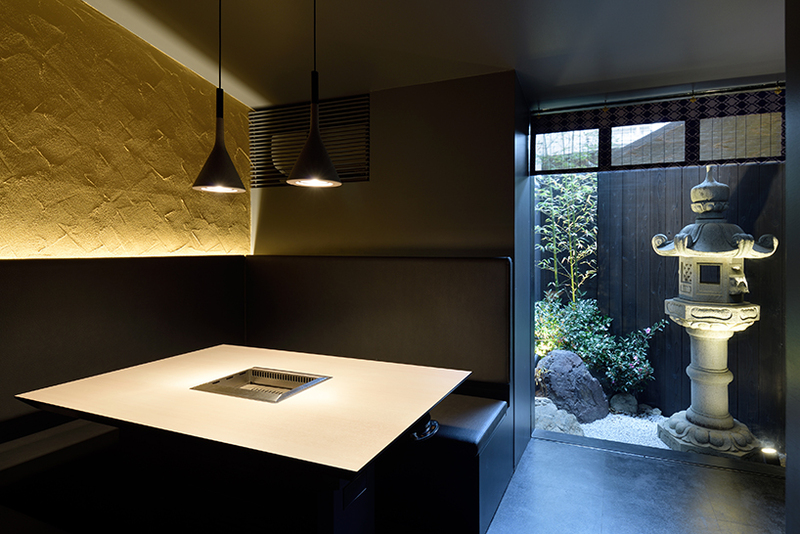 as for the YOSHIDO, its metal handle called HIKITE is a custom-order by the craftsman and integrates that ‘kyoto-ness’ which people can touch. 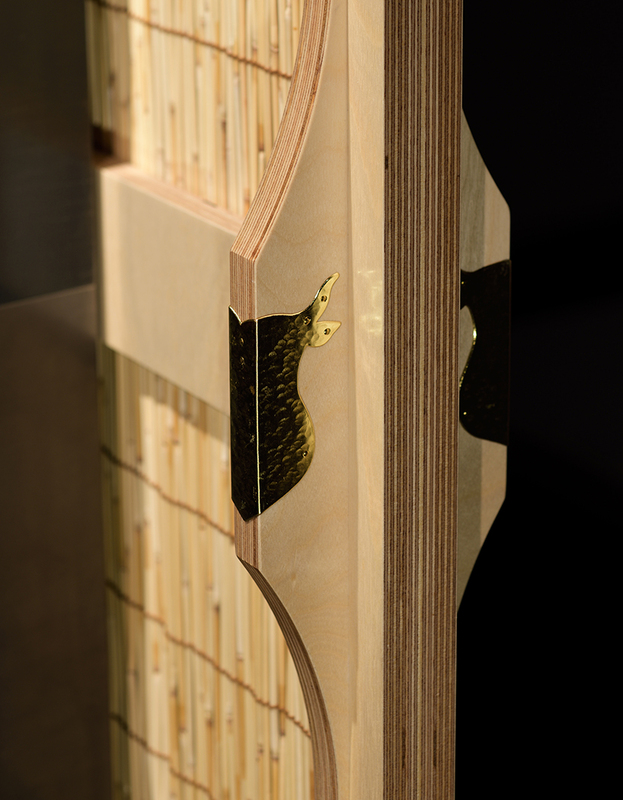 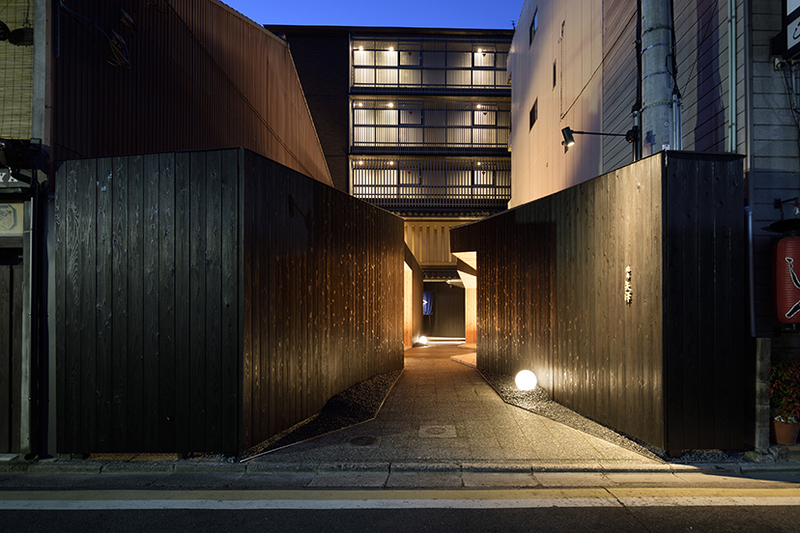 the design technique is exactly like that of a ROJI(alley way), with the burned cedar creating the perspective towards the entrance. 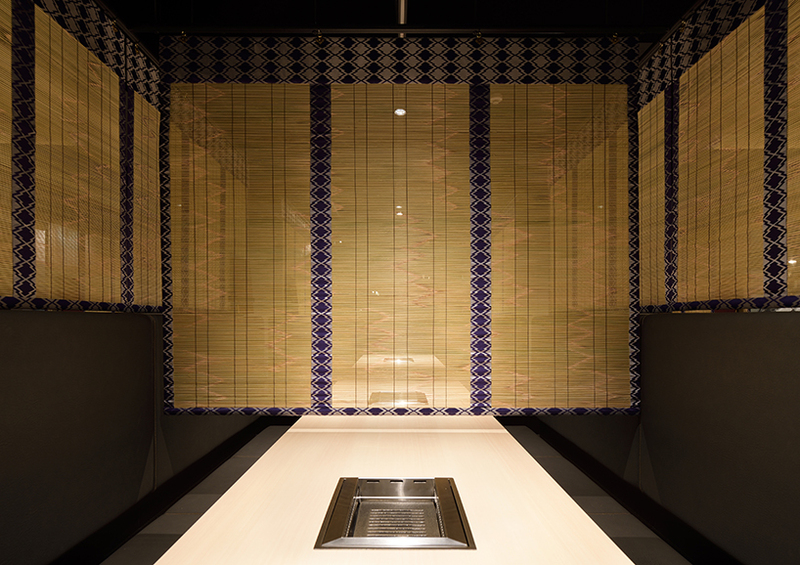 finally, the TSUBONIWA (traditional inner garden) view can be viewed from the VIP room, while the CHOZUBACHI(traditional wash-basin) is placed in front of the toilet — highlighting water sound.